The following was written by Pretoria-based ASFL Executive Board Member, Martin van Staden. 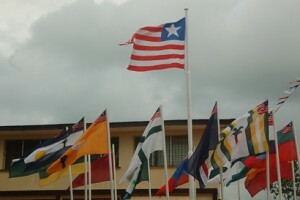 The West African nation of Liberia is apparently on the road toward privatizing its early childhood education system. The Ministry of Education announced back in January that Bridge International Academies, a private American firm with over 200 schools in Kenya, would take over pre-primary and primary education in the educationally underdeveloped nation. Partial or full privatization has been fiercely criticized by teachers unions, journalists, and most predictably, the United Nations. According to Special Rapporteur Kishore Singh, governments should primarily provide education within their jurisdictions – not private companies. The Mail & Guardian Africa, itself a news source, believes that the privatization of education is “just wrong”, regardless of what positive outcomes it may yield. The unions, as could be expected, see the job security of their members to be threatened, given Bridge International’s nontraditional focus on teaching-by-technology. However, it is most certainly a step in the right direction. The government says that it seeks to eventually outsource all early childhood education to private providers, thus implying that Bridge International will not retain this monopoly in perpetuity. Indeed, without this barrier to entry, other international, and hopefully local, firms could step in and provide parents and children with a wide range of choices. The resulting competition will ensure that all firms strive to keep their customers satisfied with their service. Little has been reported recently regarding where this initiative is going at this stage. Big government advocates will surely oppose it every step of the way, and, if it materializes, will hope that it fails, because it will give them another opportunity to construe market liberalization and privatization as harmful to human prosperity. Bridge International, however, is but a single firm, and without competition and wholesale deregulation, no failure, or success, can be attributed to market forces. Hopefully the Liberian government delivers on its promise to open the educational market up to other private providers soon.